This unit provides a level of protection that you have come to expect in a Kidde product. This smoke alarm features an ionization sensor that protects best against fast flaming and other types of fires. Powered by a 9V battery that protects even during power outages and a Low Battery Indicator – Smoke alarm will chirp in the event of a low battery. Battery operated single station smoke alarm provides an early warning signal to you and your family in the event of a smoke or fire incident. Installation is simple with the Twist-Off Mounting Plate and requires no wiring. Includes a Tamper Resist Locking Pin that helps deter battery and alarm theft. 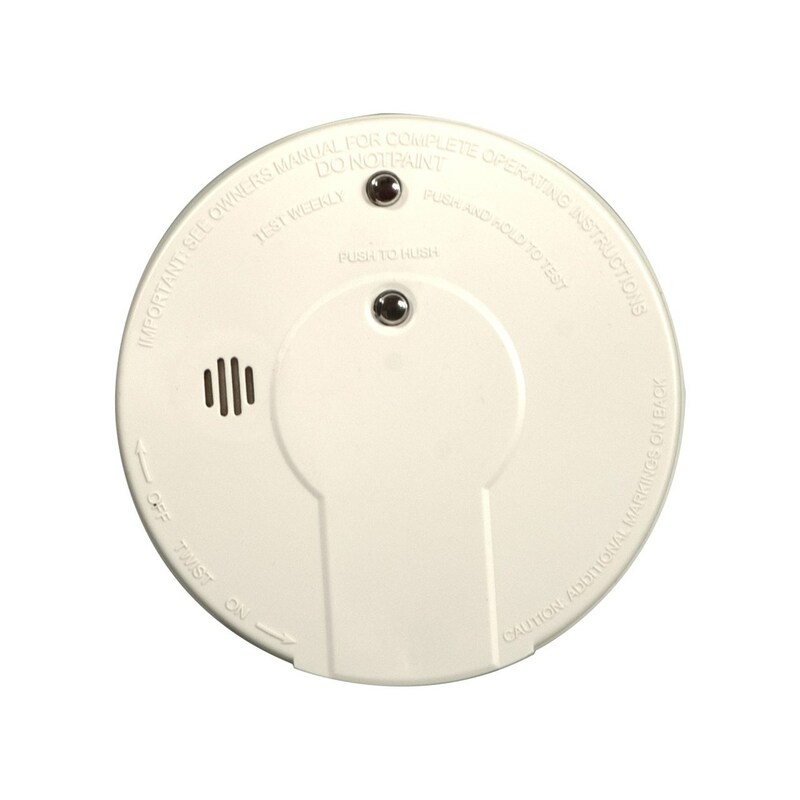 Hush control feature is useful in the kitchen area or other areas prone to nuisance alarms. This alarm uses ionization sensing technology. Ionization sensing alarms may detect invisible fire particles (associated with flaming fires) sooner than photoelectric alarms. Photoelectric sensing alarms may detect visible particles (associated with smoldering fires) sooner than ionization alarms. Kidde strongly recommends that both ionization and photoelectric smoke alarms be installed to help ensure maximum detection of the various types of fire that can occur within the home. Audio Alarm: 85 dB at 10 ft.